Friend of the show Linda Klein talks about how she has used technology in her legal practice over the years and why lawyers should pay attention now. Over the past 100 years technology has made enormous leaps toward improving the ease of everyday living for the average citizen. This progress has also been reflected in the legal profession as tech becomes more integrated into the working lives of lawyers. However, in what ways has technology improved the profession and how can technological advancements aid us in the future? In this special centennial episode of The Digital Edge, hosts Sharon Nelson and Jim Calloway sit down with ABA President-Elect Linda Klein to reflect on how technology has improved the practice of law throughout their careers. The hosts open by taking some time to reflect on the last 100 episodes of the podcast and Linda shares her memory of having the Digital Edge be the very first podcast she ever listened to. She then muses over being introduced to technology early in her career and how tech started to influence and improve the way she practiced law. Within these reflections, Linda provides some insight into why she thinks it is important for lawyers to give back to their communities and tips on how tech can help fit everything into one’s busy life. The group then focuses on ABA initiatives centered around positively influencing the rapid change happening in the legal profession spurred by globalization and technology. Linda then looks toward the future and discusses goals that she has for her presidency relating specifically to technology and the practice of law. Linda A. Klein is president-elect of the American Bar Association. She is also a senior managing shareholder at Baker Donelson, recently completing a 6 year term on the Firm’s Board of Directors. Her practice includes most types of business dispute resolution, including contract law, employment law and professional liability. 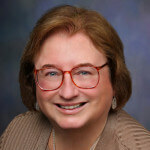 Sharon D. Nelson: Welcome to the 100th edition of the Digital Edge, lawyers and technology. We’re glad to have you with us. I’m Sharon Nelson, president of Sensei Enterprises. Jim Calloway: And I’m Jim Calloway, director of the Oklahoma Bar Association’s Management Assistance Program. Today our topic is How Technology Has, and Will, Impact the Practice of Law. This is a very special podcast for the two of us. 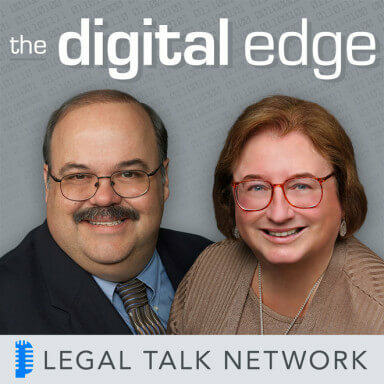 As Sharon noted, this is the 100th edition of the Digital Edge lawyers and technology podcast. We started the digital edge podcast back in early 2007 as a podcast on behalf of the ABA Law Practice Management section. Sharon and I certainly acknowledged that we would not be able to accomplish this without the technical support of John Simek, her husband and partner, who basically served as engineer, editor, and everything else in those early days. But we also want to thank the Legal Talk Network for bringing us into their lineup of legal podcasts and doing a lot of the work that John used to have to do. Jim Calloway: We wanted to have a very special guest for our 100th edition, so we are very pleased that our friend Linda Klein agreed to be our guest. Linda is president-elect of the American Bar Association She is also a senior managing shareholder at Baker Donelson, recently completed a six year term on the firm’s board of directors. Her practice includes most types of business dispute resolution including contract law, employment law, and professional liability. Thanks for joining us today, Linda. Linda A. Klein: Thanks for having me Jim and Sharon, it’s really a pleasure to be with you today and I’m especially honored to be your guest on your 100th episode. The very first podcast I ever listened to was the Digital Edge, so I guess I was your first groupie! Linda A. Klein: It’s true! I was your first groupie. So I’ve enjoyed your podcast and I have learned a lot from you both, thank you. Jim Calloway: Well thank you very much, we very much appreciate that comment. Sharon D. Nelson: Very kind of you, thank you Linda. Jim Calloway: Linda, before we discuss other issues, why don’t you tell our listeners a bit more about your day job? What is really the main focus of your day to day practice? Linda A. Klein: My law practice focuses on helping businesses mostly in the construction, higher education and pharmaceutical industries. And I try to help clients avoid disputes and solve them when they can not be avoided. I also serve as a neutral, which is an arbitrator or mediator for other lawyers and their clients. Outside of client work I’ve been a managing partner of a medium sized law firm and then a Georgia managing partner in a large law firm I current from, Baker Donelson and my law firm management role is how I came to know both of you in the law practice division of the American Bar Association. Sharon D. Nelson: Well that was a very happy meeting for all three of us. Linda, I know we could fill the entire podcast discussing your many honors and achievements – and we’re going to include a link in the podcast to your biography. But clearly you believe that lawyers should be active in giving back not only to our profession but to our society. Do you have any comments that you want to offer to our listeners about lawyers and volunteerism? Linda A. Klein: Some of the most fulfilling things I’ve done as a lawyer have been pro bono and community service. My first pro bono case involved a woman who had Alzheimer’s. And while she never knew what I did to help her, what I did made the final years of her life comfortable. And after that I was hooked. Lawyers as citizens are natural leaders in their community. And lawyers who are on the museum board, the alliance club and so many groups that are needed to keep their towns running. In my community activities, I typically worked with others to help groups of people and I met people that I otherwise would not have met and I made a lot of friends and together I hope we did a lot of good. Sharon D. Nelson: Well that sounds wonderful. Jim Calloway: In terms of volunteer jobs being ABA president elect and then ABA president is a huge volunteer job. Do you have any tips for our listeners on how you fit everything into your busy life? Linda A. Klein: Well, it’s not bad if you spread it out over 7 days. But seriously, my days and weeks are very full as ABA president elect and I rarely get a full day off. Reflecting on your question, I supposed the most important time saving thing that I do is to touch things only once. If you open an email, handle it. You may delegate it, but you have to do something to get it off your plate. Before email, that’s how I treated traditional paper mail. And while there’s less paper mail now, that’s how I still handle it. To get projects done I set aside large blocks of time – usually on the weekend – to work with them. Usually with a heavy travel schedule, I try to use public transportation or have someone else drive so I can work while travelling. I get a lot done on airplanes and airplane internet service is a good value. If you can do client work, it definitely pays for itself. Sharon D. Nelson: Linda, I think you’re my sister by another mother! That sounds exactly like my life and the same attitude. Get rid of it and get rid of it when it first comes in if you can. I remember my first piece of technology being the IBM’s Electric which was something of a miracle as a lawyer because you could correct mistakes. What was your first use of technology in your law practice? Linda A. Klein: I guess about 30 years ago we were using a Wang dedicated word processor and we thought that was the most incredible thing ever. It remembered our documents! And we could make changes without retyping them from the beginning! And it was only $75,000 dollars! And of course it didn’t even spell check. It was very controversial when I asked to have a Wang terminal in my office. I was the only woman in my law firm and even the men said that I was making a terrible mistake because they thought that I would lose credibility as a lawyer by typing instead of dictating. It turned out that I was the fastest typist in the office. And my efficiency as a lawyer was augmented instantly. Sharon D. Nelson: That’s hysterical because I told you, my sister by another mother, I type over 90 words a minute. So I bet you’re that fast too, right? Linda A. Klein: Well, maybe a little faster on a good day. Sharon D. Nelson: There you go. Jim Calloway: Wow. I’m impressed. Sharon D. Nelson: Very impressed. Linda A. Klein: We’re going to have a type-off, right? Sharon D. Nelson: Yeah, there we go. I remember when we were at TECHSHOW chatting and you told me you had an early focus all the way back in the 90’s on how technology was impacting the practice of law and how it would impact the practice of law. And were you back then the president of the state Bar? Linda A. Klein: Well, I did write about that in a president’s page when I was president of the State Bar of Georgia in 1997, but the focus really started before that. In that president’s page I told my readers that it was going to be the first president’s page in the history of Bar associations that was going to make the money – or maybe at least save them money. And in it I told the story of how I became a convert and that was in 1988 when my husband Michael spent just entirely too much money on what I called a useless metal box. And it had a keyboard and it had this screen and you remember the screen was kind of orangey and the screen was so useless because it didn’t get any television reception. And you know how as a spouse you’re disappointed in the other person’s purchases and I thought about what I could’ve bought with all of that money that he had spent on that useless metal box. And I said you’ve got to prove the utility of this useless metal box and of course he couldn’t. And instead he’d be plugging cords and floppy disks into that metal box. So several weeks after that discussion, I was at home one night and I was preparing for a court appearance the next day. I was missing something from a document that I intended to file in court the next day. I was really disgusted with myself and I was about to go back to the office and Michael just started laughing. He turned on the metal box and instead of showing I Love Lucy reruns, it had this word processing program and it solved my problem in less time than it would’ve taken me to drive to the office and I have to admit he was right. So in the coming years, we would have debates about who had the greater need for the computer that night or on the weekend; then we had to buy a second computer. And the good news of course was the much better value because you know how computers – unlike most other things – get cheaper and more powerful as time goes by. Michael did an analysis on a spreadsheet program – I don’t remember how long ago this was – that saved his firm so much money it would’ve paid for a hundred computers. I prepared charts for trial and witness examinations. I found information on outside services using a communications device called a modem. Remember those beeps and clicks? I even ran an entire state Bar campaign on a computer. I guess it’s fair to say Michael ran the computer and I ran all over the state. But in that president’s page – I remember it was about two decades ago – I told the readers that the price of a whole computer system was less than a television. And I told them with that modem saying – also it was not very expensive – that anyone could have access to this thing called the internet. And on the internet, lawyers could find lost witnesses and government documents and court opinions and so much more. Not even the largest law firm library could rival the information that was available on this thing called the internet. So that was me talking nearly two decades ago in our very first state Bar journal to focus on technology in the practice of law. And my point was that technology was the great equalizer. It enabled every lawyer to compete. My pet project as a Bar officer was to find ways to disseminate information to lawyers. The Bar journal is a great thing, a printed document; but it was expensive and had the very long lead time. In fact, I would have to write my president column four months before the journal was published. So our Bar was creating ways to compress that time. We created a website – wow – offering information about the state Bar; forums to help lawyers and their practices. All the disciplinary rules and opinions and this gateway to legal research and the world on the internet. So our state Bar website was another equalizer. A one stop shop for all the legal resources that lawyers need. We created an Emerging Issues committee, seeing into the near and far future of trends that would affect the practice of law. We put the entire Bar directory online complete with active links to the email addresses of every lawyer who supplied them. And at the time I was encouraging lawyers to get and then supply their email addresses to the Bar. We even offered Bar staff to help lawyers get email addresses if they didn’t know how to do it. We offered help improving law office technology with a new law practice management program. Some of you know Natalie Kelly from the law practice division. She started working at the State Bar of Georgia around this time and the law practice management program helped lawyers with software and hardware questions. Those of you, ABA TECHSHOW veterans will smile when I tell you that our State Bar Annual Meeting in 19998 had a techshow demonstrating the latest and greatest in office technology. So coming around full circle, I came to appreciate how technology could save my clients and me time and money and then brought that realization to the state Bar and to as many state Bar members as we could. And of course I never admitted to Michael that it was a good idea to spend all that money on that first metal box and he probably figured that out when he read my president’s page. My big problem now is I can’t get used to Michael keeping all that obsolete software and those obsolete computer magazines that he won’t throw away. Jim Calloway: That’s a great story and shows that real lawyers do use technology. Linda, it’s almost become a cliche now to talk about change in the legal profession. But the ABA has had a strong focus particularly recently on our changing profession. Why don’t you remind our listeners of some of the ABA initiatives about change impacting the legal profession? Linda A. Klein: Our most prominent, current initiative involving the changing profession is the ABA Commission on the Future of Legal Services and they’re reviewing how marketplace changes spurred by technology and globalization are disrupting traditional models of accessing and delivering legal services specifically for the underserved, poor and middle class. The commission is leading the ABA’s effort to inspire innovation, leverage technology, encourage new models for educating tomorrow’s lawyers and nurture financially viable models for delivering legal services that meets the public’s needs while remaining rooted in the essential values of protecting the public and pursuing justice for all. The commission’s defined five teams. They’ve split into five teams and these teams talk about an ABA center for innovation which would advance ideas that improve legal services and legal education. Then there’s a team talking about an ABA annual legal checkup program. A concept similar to going to your doctor for an annual medical checkup and it would allow users to examine legal risks and evaluate whether they need to consult a lawyer or not. The third one is the ABA online dispute resolution system, a project that focuses on the expansion of online dispute resolution. Then there’s the ABA platform which would direct users to resources providing access to legal information or assistance. And the fifth is called challenges to the delivery of criminal legal services, including decriminalization of minor offenses to alleviate racial discrepancy and overt incarceration. Much more information and an opportunity to comment on the proposals is on the commission’s website at AmBar.org/ABAFutures and I encourage everyone to visit the site. That’s AmBar.org/ABAFutures. Sharon D Nelson: Well thank you for that information. I know that it’ll be useful to a lot of people. As you know, Linda, being our original Digital Edge groupie, our podcast focuses on technology and the law. Do you have any goals during your year as ABA president relating specifically to technology in law practice? Linda A. Klein: Yes. You pointed out that my personal focus has always been about helping lawyers helping in their communities. We’re planning an initiative to help veterans get the legal services they need. I’ve learned that one of the major problems helping veterans is connectivity, something that we would use technology to solve – maybe I should explain that. Often veterans live in one state, are deployed from another, return stateside to yet another, and the possibilities for legal problems in multiple jurisdictions are very significant. A veteran could have a consumer debt in one state, a child support issue in another, a landlord tenant dispute in a third. And many of these problems can be the result of multiple deployment, homelessness or illness. By using technology, we believe we can link volunteers to veterans who need them. We believe we can link volunteers to each other for training and mentoring and we’ll create an online veteran legal checkup. So veterans, their caregivers and their families can recognize their legal issues. There’s so much more to this initiative and the technology piece. I’m happy to hear from listeners who want to be involved or who have ideas that could help. We’ll also continue to work on the opportunities presented by the futures commission that I just mentioned and we’ll look for new and better ways to connect lawyers to the ABA through technology. A key part of this is going to be helping lawyers and small firms with their cybersecurity, ethical and legal responsibilities. And now that I’m at a larger firm, I know that there are people who’s job it is to work on cybersecurity here every hour of every day. When I was a managing partner at a smaller firm we couldn’t afford someone dedicated full time to cybersecurity. And the ABA is going to help smaller firms with these obligations. And we’re also going to help lawyers and solo and small firm practices identify and use technology on a greater, more useful scale. My fundamental goal for my term as ABA president will be to promote membership in the association. And we will do so largely by helping lawyers in their practices. And my discussion with lawyers across the country, a main concern is that they don’t have enough time to practice law because they need to figure out so many other issues involving technology. What kind of billing and collection software is the best? That’s an example. What kind of networking software is right for the firm? How do you use these tools and so many others? The ABA has the expertise to help lawyers answer these questions, we just need to connect the experts with our members. Jim Calloway: Well you certainly described my daily life and daily work. Before we move on to the rest of the podcast, let’s take a quick commercial break. Sharon D. Nelson: Welcome back to the Digital Edge on the Legal Talk Network. Today our subject is How Technology Has, and Will Impact the Practice of Law. And our guest is Linda Klein, the president elect of the American Bar Association and a senior managing shareholder at Baker Donelson. Jim Calloway: Speaking of podcasts, you mentioned being a podcast listener. How do you normally consume podcasts? Linda A. Klein: I have a very few podcasts – besides yours, of course – that I listen to. I mostly listen over my iPad while I’m on the road or in the background while I’m multitasking like unpacking in a hotel room. I’m a huge fan of the Legal Talk Network, especially all of your coverage of the ABA Midyear and annual meetings and TECHSHOW and plus the conference of the ABA Commission on the Future of Legal Services that was held at Stanford University. This is precisely the type of material that all lawyers need in their practices. Sharon D. Nelson: Well I’m always interested in what technology tools – busy people, particularly – find the most personally useful. What would yours be? Linda A. Klein: Well putting on my practitioner hat and not speaking for the American Bar Association, I do have a few favorites such as my Microsoft Arc Touch Mouse and it folds flat and has a USB dongle that sticks to the mouse with a small magnet. I got one right after it was released and I use it on the road all the time and the dongle has never come detached from the mouse. Although I get some criticism from smartphone snaps, I still use a Blackberry. I love the keyboard and the new operating system. I’m envying my husband’s new Surface Pro and I’m waiting for my law firm to be able to let a Surface on our network. Sharon D. Nelson: I love the Surface Pro too. Jim Calloway: Linda we’re all acquainted as you noted because of the ABA law practice division. You recently were a columnist for Law Practice Magazine and you and I served together on the Board of Editors of the magazine. What role do you see ahead for the ABA law practice division? Linda A. Klein: Those volunteer jobs for the law practice division were some of my favorite ABA assignments. Great, dedicated volunteers were involved working together to create wonderful things. The role of the division will only grow and grow. The division is a great collaborator on that. There are collaborations with members who are not lawyers, there are collaborations with the greater ABA. The division has been and always has been so generous with its ideas and programs. Division leadership members have written some great books and conducted some magnificent programs that help lawyers do more with less. Lawyers – particularly lawyers in small firms- can greatly benefit from all of these products. I was meeting with lawyers in small towns in the west and they asked for information on choosing software programs. The information was already prepared in a book from the law practice division. It’s called The Solo and Small Firm Technology Guide. It’s a more than 350 page collaborative effort by law practice division tech folks. It contains the types of technology as well as some product reviews and Sharon’s one of the editors! Sharon D. Nelson: Well thank you, thank you. I appreciate the plug, Linda. Jim Calloway: Linda, we know the ABA – like all volunteer organizations – is always interested in recruiting new members. Would you like to tell our listeners why you believe the ABA membership is important and how non lawyer members can join? Linda A. Klein: The ABA has so much to offer. We learn from each other, we make great friends. The ABA advocates for lawyers such as saving FDIC protection for accounts or protecting the attorney client privilege. The ABA organizes incredible service to the public like the Youth at Risk Commission and service to the profession like writing the model rules of professional conduct. ABA sections, divisions and forums have specializations in areas of the law like tort law or general practice law or construction law. These groups are leaders in their areas and they share their expertise generously. There are large discounts in the ABA vantage program for so many products and services. Bottom line is ABA membership has been a great value for me and for my firm. In fact, every lawyer in my law firm is a member of the American Bar Association. I want to share this with lawyers who are not currently members of the American Bar Association. I want to offer all of your listeners a free trial membership in the ABA and that would include a practice related entity like the law practice division. So if you’re not currently an ABA member, sign up soon because this trial expires on August 31, 2016. Just visit AmBar.org/FriendsOfKlein. And include the code, FOKlein15 and I’ll tweet that information to if you’d like to follow me, @LindaKleinLaw, you’ll see it there. Members get all the benefits of ABA membership, the ABA Journal, access to members only content on the website, and information on upcoming educational and networking events for a host of practice areas. And non lawyers can become members of the ABA as associate members. Sharon D. Nelson: Well, Linda, Jim and I really want to thank you for being our guest today. We are honored to call ourselves your friend and we know that you’re going to be a great ABA president; we look forward to your term. And on a personal note, I now know that you and I need to join forces to rent self storage facility for our two husbands to put all of their obsolete equipment and software so that our houses are less cluttered. And we will do that type-off one day! So thank you again for joining us, I know everybody enjoyed it.